It was a busy spring here at JMMDS, and it doesn’t look like we’ll be slowing down much for summer! In our next post, we’ll share some of our residential projects. Here’s a look at some of the projects we’ve been working on for organizations. Tenshin-en. Photo: Museum of Fine Arts, Boston. To mark the re-opening of the Museum of Fine Arts, Boston’s Japanese garden Tenshin-en in April, Julie gave a presentation on the restoration of the garden during the museum’s Art in Bloom festival. 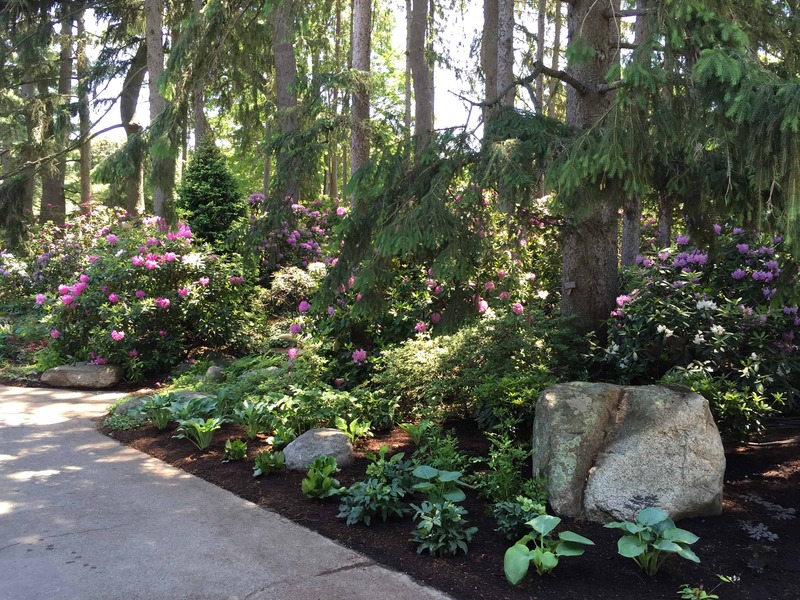 Julie was part of the original team who created the garden with renowned garden designer Kinsaku Nakane in 1988, and she has been overseeing its renovation for the past year and a half. 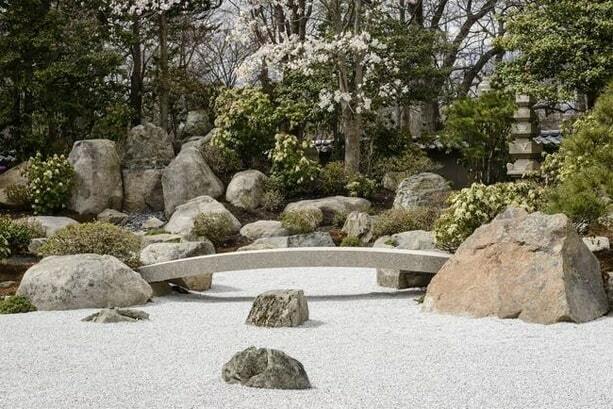 Read more about the opening in Jody Feinberg’s article, “Renovated Japanese Garden Reopens at MFA,” in the Patriot Ledger. 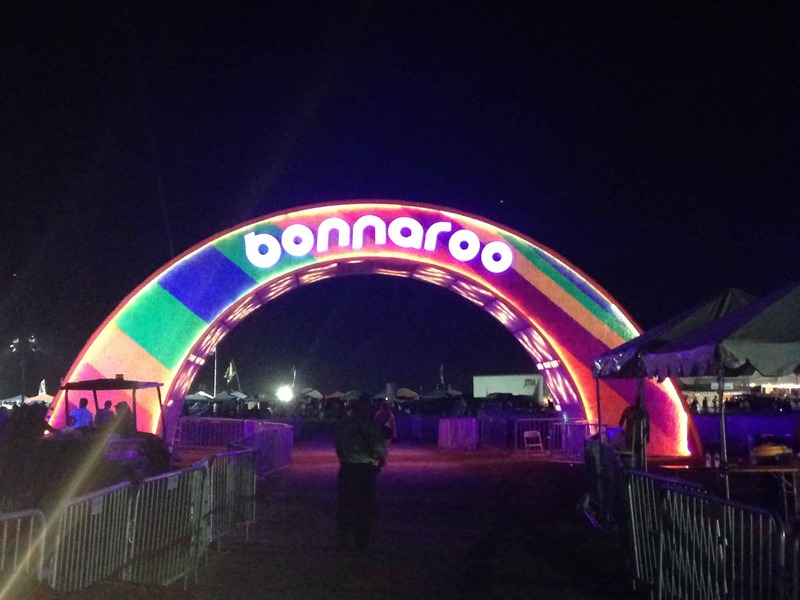 JMMDS has been working with a team from Superfly on improvements to the design of the Arch Entrance and Gateway at the Bonnaroo Music & Arts Festival. We just returned from a fantastic trip to Manchester, Tennessee, to observe the festival and take notes (all in the name of work, of course!). Spruce Knoll at Mount Auburn Cemetery. Design and photo: JMMDS. Spruce Knoll is a verdant and peaceful cremation garden designed by JMMDS for Mount Auburn Cemetery in Cambridge, MA. We created a design for an expansion of the beloved garden, and Julie was on site recently to oversee the installation. 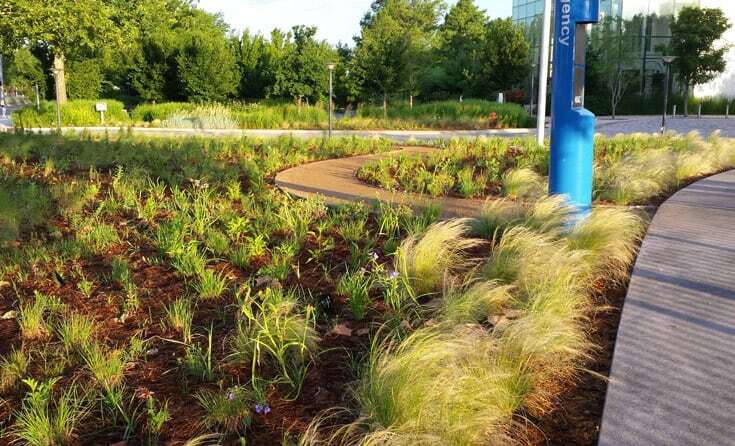 The newly planted Prairie Garden at Myriad Botanical Gardens. Design and photo: JMMDS. Myriad Botanical Gardens asked JMMDS to create an overall conceptual plan and then work with their staff on redesigning the Prairie Garden, Geo Beds, Lakeside Gardens, and Meinders Garden. Senior Garden Designer Erica Bowman has made several trips to Oklahoma City to direct the design and planting. 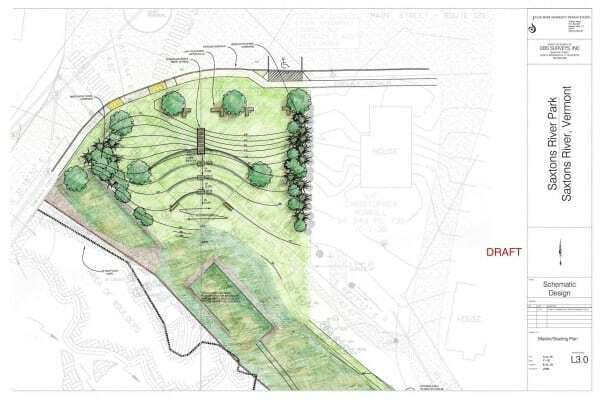 JMMDS is honored to be working on a design for a village park on a brownfields site right here in Saxtons River. 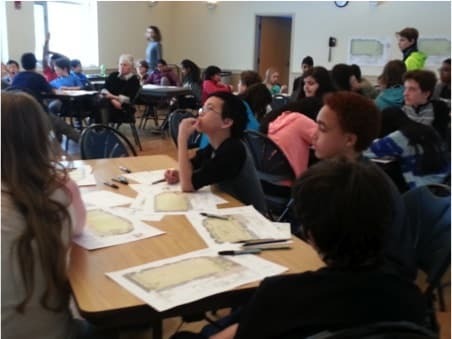 On April 13, Julie presented the new park design to the park committee, as reported by Allison Teague in The Commons. Construction of the park is scheduled to be complete in October. Among these and other exciting projects, Julie is also getting ready for her lecture on June 26th at Coastal Maine Botanical Gardens’ 11th Annual Garden Symposium, to be followed by a workshop for the horticultural staff. 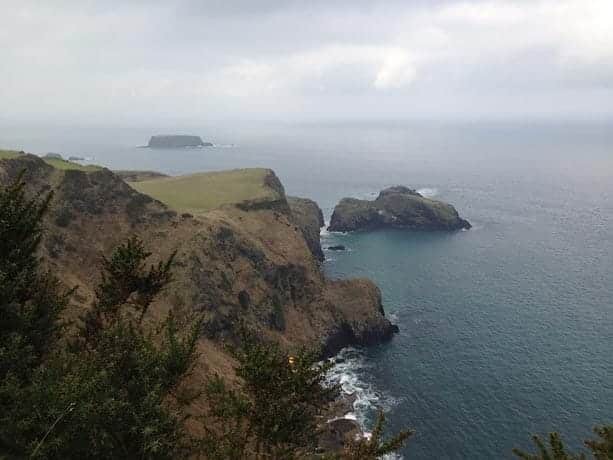 The lecture is open to the public–consider a trip for an inspiring talk in a glorious setting!